Jerry Markon’s report in the Washington Post on the struggles and possible failure of several of the nonprofit health insurance co-ops in the nation’s new healthcare insurance system is a disturbing indictment—not of the co-ops, but of the toxic dynamic of American politics. 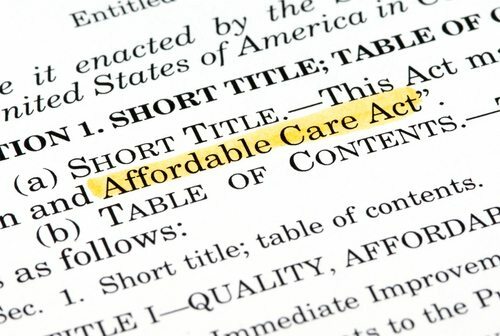 “These co-ops,” Markon writes, “started as a great hope for lowering insurance costs, are already in danger.” He cites intentional obstacles placed by Congress in the path of the co-ops—converting the originally planned start-up co-op grants to onerous loans with tight repayment schedules, preventing them from using their federal funds for marketing, strictly limiting them from selling insurance to large employers, preventing them from banding together to negotiate joint contracts with doctors, and cutting them out of access for future funding in the fiscal cliff agreement. It adds up to a recipe for failure, one might think preordained, conscious failure anticipated by the federal decision-makers who erected these barriers. Maybe the co-ops will prove the experts wrong, but reviews by the Health and Human Services (HHS) Inspector General, the private firm Deloitte, and others suggests that it will take heroic efforts and an awful lot of counterintuitive good fortune for the nonprofit co-ops to succeed against these obstacles. What happened to lead to this scenario? The co-ops seemed to be a last-ditch effort by the Obama administration to come up with something to take the place of the “public option” that congressional Republicans (and a not insignificant number of Democrats) opposed and rapidly discarded. It was almost like a Hail Mary pass. With the public option pulled off the table, Senator Kent Conrad (D-ND) offered the nonprofit co-op as an alternative, drawn from co-op models that had been used mostly in rural areas. Health co-ops, according to Johns Hopkins health policy professor Karen Davis, have a history “littered with failure,” and were hardly an adequate replacement for a government system of health insurance that would compete with private insurers. Private insurers, having already defeated the public option, lobbied and spent extensively to cripple the nonprofit health co-ops—as though a band of start-up co-ops were going to offer major competition to billion-dollar private corporations. Nebraska senator Ben Nelson (D-NE), a former insurance company lawyer, was among many who carried the message articulated by former Blue Cross Blue Shield lobbyist Philip Stahlboerger: They opposed these start-up grants for the co-ops that were considered “a gift, a federal handout.” Industry lobbyists also protected their oligopolistic access to large employer markets by restricting the co-ops to individual and small-group insurance markets. Markon cites Conrad, as we did earlier this year, as feeling blindsided by the fiscal cliff deal, charging that the co-ops faced “long knives” and “poison pills.” Conrad was a good senator, but his complaints about the treatment of the co-ops sounds thin. From the start, Obama administration insiders were unenthusiastic about the co-ops and not willing to devote much political or financial capital toward making them work. It must be patently clear that much of this could have been avoided had the Democrats hung tougher on the public option. Accepting compromise after compromise led Democrats toward the current structure of the Affordable Care Act, many elements of which feel cobbled together, rather than planned. It is also clear that, like the Republican obstructionism toward the state healthcare exchanges and toward the health insurance navigators, the treatment of the co-ops was meant to make them all impossible to implement. Those are admirable sentiments, but the nonprofit sector has to see this situation for what it is. At a minimum, it is a stunning demonstration of distressingly bad legislative decision-making on the part of all parties. If nonprofits care a whit for the success of our democratic form of government, they have to be at the table to help society develop appropriate fixes to America’s weakening governmental processes.